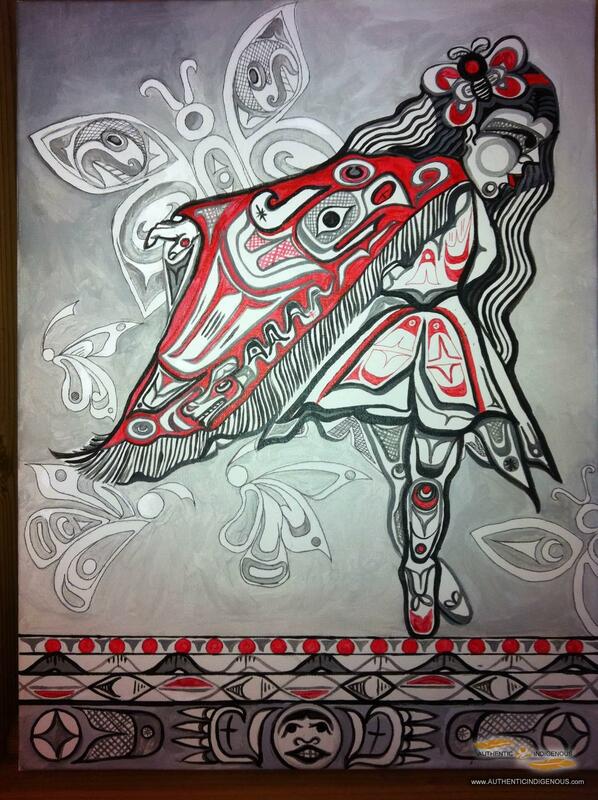 As a Tseshaht artist, a woman, mother and adventurous spirit, I believe in seeing the art in everything around me. The work that I create brings forward a distinct voice in my community and in the arts world that brings together practices rooted juxtaposing traditional values, teachings and aesthetics with popular culture and current issues facing indigenous people, women and children. 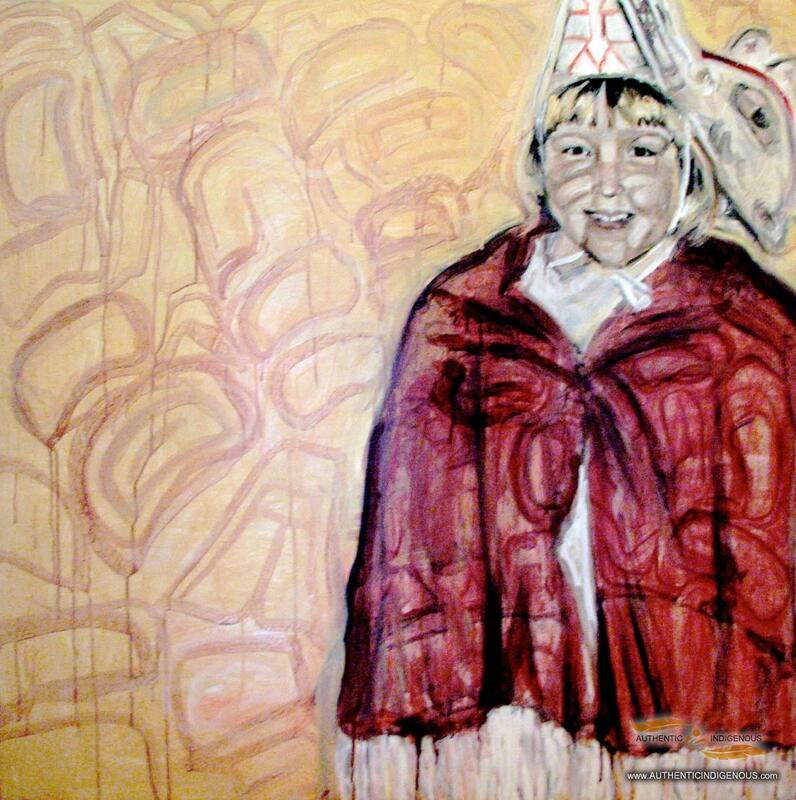 Influenced by strong women in my family, good teachers in my community, by Tseshaht painter and activist George Clutesi and the many wonderful contemporary Nuu-chah-nulth artists living and working in Port Alberni, I hope to convey a strong sense of ingenuity, imagination, wonder and resilience of Nuu-chah-nulth. Primarily focusing on painting, illustration and 2 dimensional works I am constantly inspired by the stories surrounding my community grounded in the resilience of people, culture and traditions while working in parallel with the best of our contemporary world. 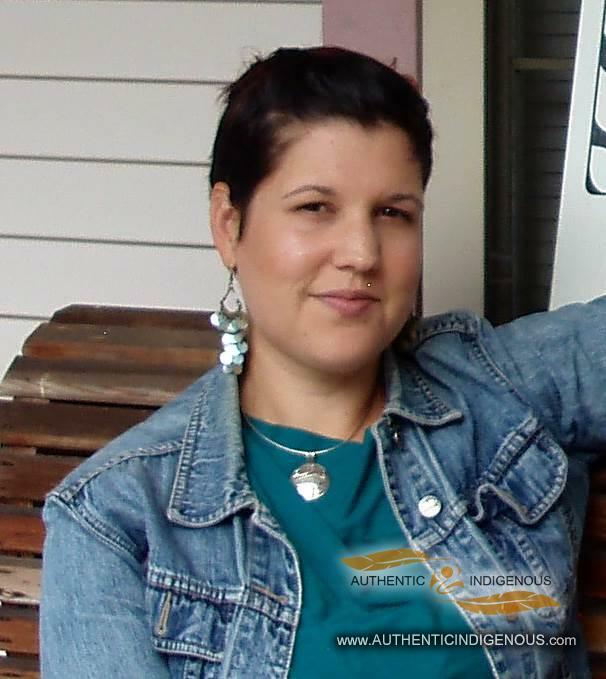 Kelly Foxcroft Poirier (Chii-ilth-uum-qua) is from the Gallic family of the Tseshaht Tribe, one of 16 nations that comprises Nuu-chah-nulth. With a diverse arts practice encompassing, painting, illustration, design and most recently exploring 3 dimensional concepts collaborating using glass, cedar and metal. Kelly’s designs blend approaches honoring her community roots as well as her formal contemporary training from her time at Emily Carr Institute of Art and Design. 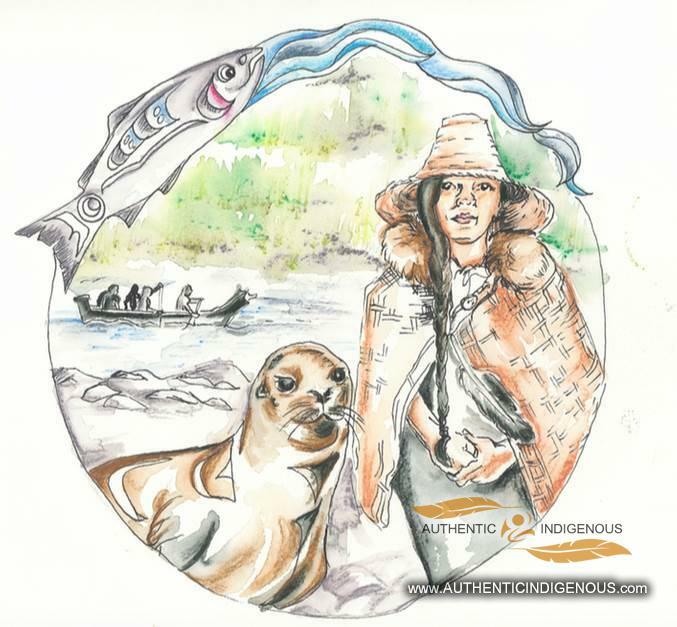 Working as an artist and designer for more than a decade, Kelly has been developing her unique voice as an artist refining and exploring Nuu-chah-nulth art styles and values with contemporary painting, illustration and art making practices. In creating her work, ranging from culturally based pieces to graphic design projects; Kelly intends through an authentic voice to reach across generations and across cultures to build bridges of understanding and highlight the complexities of the diverse cultures, approaches and world views within our communities. Kelly has spent the past 8 years working with artists and elders within her communities learning about art making, values and teachings. In 2009, she supported master carver Tim Paul, Rod Sayers, Tom Paul, Pat Amos and Jake Gallic in the creation of “Hupakwanum” for the 2010 Vancouver Winter Olympic Games. Most recently Kelly was honored to present the Hereditary Chiefs of Nuu-chah-nulth (Ha’wiih) with a Hupakwanum (Chief’s Treasure Box) made of glass and wood – as gift to support further rights, title and governance work by the nations. Kelly continues to produce new work, while balancing her growing graphic facilitation and communications business and raising her three daughters, who are by far her biggest works of art.